Sometimes searching for true love can be a little...Outlandish. I met Jamie Fraser when I was nineteen years old. He was tall, red-headed, and at our first meeting at least, a virgin. I fell in love hard, fast and completely. He knew how to ride a horse, wield a sword and stitch a wound. He was, in fact, the perfect man. That he was fictional hardly entered into it. At 29, Emma Sheridan's life is a disaster and she's tired of waiting for the perfect boyfriend to step from the pages of her favorite book. There's only one place to look, and it means selling everything and leaving her world behind. With an unexpected collection of allies along the way, can Emma face down a naked fishmonger, a randy gnome, a perfidious thief, and even her own abdominal muscles on the journey to find her Fraser? I met you at the Berkley signing during the RWA Annual Conference. You signed FINDING FRASER and commented that it is a romantic comedy. You asked me to let you know how I liked the book. Note that I have not read OUTLANDER (gasp!) but I adore Scotland. I have toured Alba twice and felt its spirit in Hawaii. 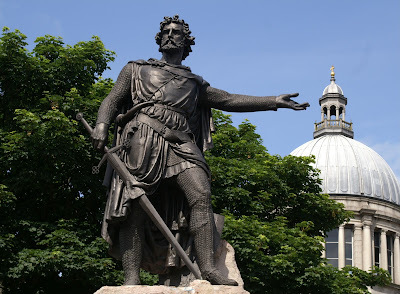 Check out this post, Spam to Scotland, at this link. Hubby and I also enjoy the Scottish "pipes and drum" band Albannach at this link. FINDING FRASER is spot on with its vivid descriptions of the Scottish landscapes, the endearing soul of Alba's people, and the mystique of the standing stones dotting the countryside which become the portal for Claire to travel back in time in OUTLANDER. 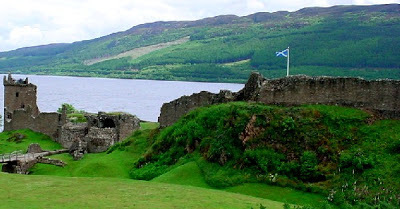 I enjoyed following Emma's quest to find her own Jamie Fraser, especially the blog she created to share her adventures with an unknown public. 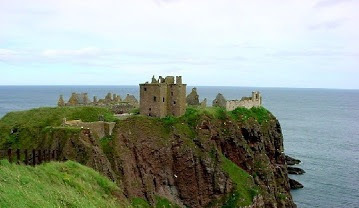 As she travels by bus to Philadelphia, the hop across the pond, and then by bus to Nairn in the Highlands, Emma attracts an online following of fellow OUTLANDER fans, including readers in Japan. However, Emma seems to fall into a personality trap - confident online but naive in reality. Although she clearly researched her travel itinerary to follow Claire in OUTLANDER, Emma tends to get off course, both emotionally and physically, when she encounters road bumps. Granted, a few of the road bumps were significant issues, but Emma never seemed to rise to the level of emotional maternity I would expect from six months on her own in Scotland. That being said, Emma cherished the Scots ... and learned to cherish herself. I also found some of Emma's adventures over the top ala Monty Python. But you clearly captured the wide appeal of OUTLANDER. You also gave readers a glimpse of Alba outside the burly men wearing kilts. You gave Alba a heart. I recommend FINDING FRASER to those who enjoy reading about Alba - past or present, fact or fiction. 1. In FINDING FRASER, Emma is an expert barista - do you drink coffee? How do you like it? I don't drink coffee but I certainly enjoy hot chocolate from coffee shops. 2. Comments are open through Saturday, August 6, 10 pm in Baltimore. 3. I'll post the winner on Sunday, August 7. Learn more about KC Dyer and her books at kcdyer.com. I don't even know what a frappe is! I also drink herbal tea along with hot chocolate! I do like coffee. It must be hot and smooth. It's funny how we like hot drinks in the summer. Wait, it's winter for you! I'm with you, I don't drink coffee but I'm all for hot chocolates and a spot of tea! I am a coffee queen.....I love coffee the stronger the better. Love it and I drink it strong and black. Grind my own beans! I like it bold and smooth when I do have it. But I'm basically a hot chocolate girl myself. While I used to drink a lot of coffee, now I drink a lot less.. But I do want a GOOD cup, not swill. Never been a tea drinker... but really, OUTLANDER is much more than a book about Scotland. Even if you never read it, you should maybe find an outline... or take a look at some of the associated books that deal with either cooking, medicine, etc. of the time. The storyline goes to France, the Caribbean, back to 'present' time, North Carolina, gets into the American Revolution... it's so much more than 'Scotland' but yet Scotland is always there.. I do love coffee - both hot & iced - creamed & sweetened - best thing I ever did was get a Keurig. I don't like coffee so would only drink a hot chocolate at a coffee shop. BTW, I only drink PG Tips teabags at home. Where do you find PG Tips in the US?!?! I am a coffee drinker. I like it with sugar and cream. 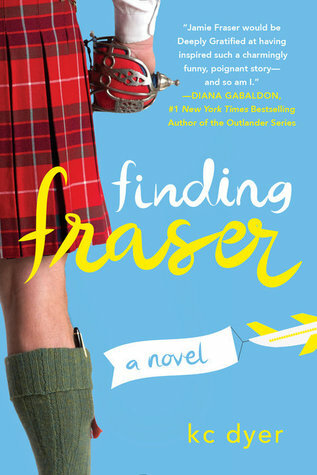 Finding Fraser was a really cute book, and I haven't read Outlander, either! I am not coffee drinker, but my daughter loves caramel lattes, hot or cold! Not a coffee drinker but I do love hot chocolate! I don't drink coffee, but I do enjoy tea or hot chocolate. I thoroughly enjoy a good cup of coffee. I like a bold dark roast, but one that is not bitter. Iced flavored coffees, specialty hot and cold coffees, and rich hot chocolate are all welcome here. If you haven't tried hot cocoa with coconut rum on a cold winter's evening, you need to give it a try.